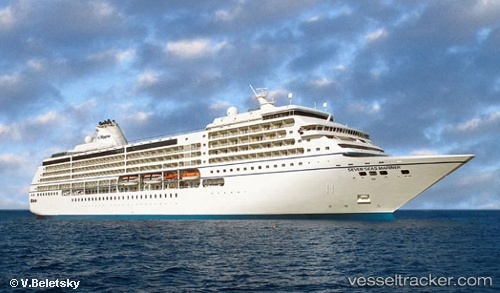 Regent Seven Seas Cruises (RSSC) has scheduled a second immersive Cuban voyage for 2019 to cater for travellers’ growing demand to explore destinations beyond the island’s capital Havana. Available onboard Seven Seas Mariner between 22 October and 1 November, the new ‘Cuban Exploration’ voyage will enable guests to spend a full day an evening in Havana and overnight in both Santiago de Cuba and Cienfuegos. The Coast Guard Puget Sound Command Center watchstanders received communication from the "Seen Seas Mariner" reporting a 73-year-old male had gone overboard on July 10, 2018, at approximately 4:30 a.m. A Coast Guard Air Station Port Angeles aircrew, two Coast Guard Station Neah Bay boat crews, the Coast Guard Cutter "Wahoo" and a Canadian Coast Guard helicopter crew thoroughly searched the area before locating the man. A Coast Guard helicopter rescue crew recovered the unresponsive passenger near the Strait of Juan de Fuca in the afternoon. He was transferred to local Emergency Medical Service personnel waiting on shore and then to the Olympic Medical Center where he was later pronounced deceased. The cause of the incident was under investigation. A Coast Guard Air Station Kodiak MH-60 Jayhawk helicopter crew medevaced a 55-year-old female from the "Seven Seas Mariner" 23 miles southeast of Montague Island in the Gulf of Alaska, in the morning of June 20, 2018. The Coast Guard Anchorage watchstanders received a medevac request from the captain reporting the woman was suffering from possible internal bleeding. They notified the duty flight surgeon who recommended a medevac to Anchorage within four hours. The Jayhawk helicopter aircrew safely hoisted the woman from the cruise ship and transported her to awaiting Alaska Region emergency medical services personnel in Anchorage. On scene weather at the time of the medevac was variable winds at 6-12 mph, 7-foot seas and patchy fog.